The Cole Clark Angel 2E Bunya Blackwood is an amazing, high-quality, Australian made acoustic guitar by Cole Clark Guitars. 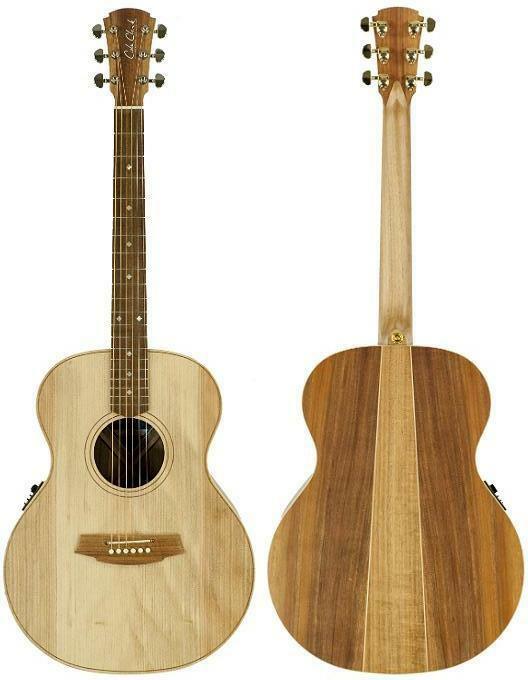 The solid bunya top and solid blackwood back and sides combine to give this Cole Clark AN2E Guitar a big bright tone. The Grand Auditorium body shape of the Angel gives the AN2E a big top and bass tone due to the tight waist and bigger bottom. The She Oak fretboard and bridge adds to the all-Australian timbers used on the Cole Clark Angel 2 Bunya Blackwood which also means that this guitar is made from environmentally sustainable timbers too! We love the Cole Clark Angel 2E Bunya Blackwood here at Haworth Guitars and especially love Cole Clark's awesome 3-way pickup system included in this model which is one of the best acoustic guitar pickups on the market in our opinion.